By a Landslide! Five Years in a Row! Philosophy/Mission: We are at your service! Providing the best support for animals in their lifelong health and well-being. We specialize in rehabilitation and geriatric pets, but are happy to see any animal at any stage in their life. Claim to Fame/Signature Product or Service: It may not be our “claim to fame”, but our proudest and most fulfilling moments are when clients tell us they got an extra month, months or even, in a couple of cases, a full year of quality time with their aging pet that they didn’t expect to get. So to you dear clients, THANK YOU! It is also our pleasure to offer a “Basic Dog Massage for Owners” class. This class is great for bonding and helps you keep a close eye on your best friend’s changing body. 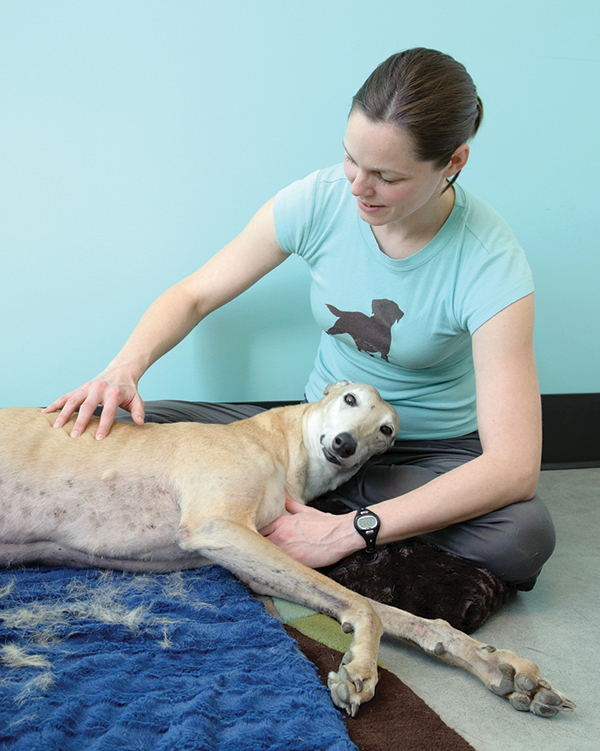 Community Involvement, Special Notes: Instructors with the Northwest School of Animal Massage. Volunteer work throughout the community for local and national nonprofits, including Oregon Humane Society, New Avenues for Youth’s Pet Care Program, Guide Dogs for the Blind, Pixie Project, DoveLewis, The Pongo Fund, Project POOCH, Best Friends Animal Sanctuary, and Angels with Misplaced Wings.